Item # 315643 Stash Points: 16,300 (?) This is the number of points you get in The Zumiez Stash for purchasing this item. Stash points are redeemable for exclusive rewards only available to Zumiez Stash members. To redeem your points check out the rewards catalog on thestash.zumiez.com. 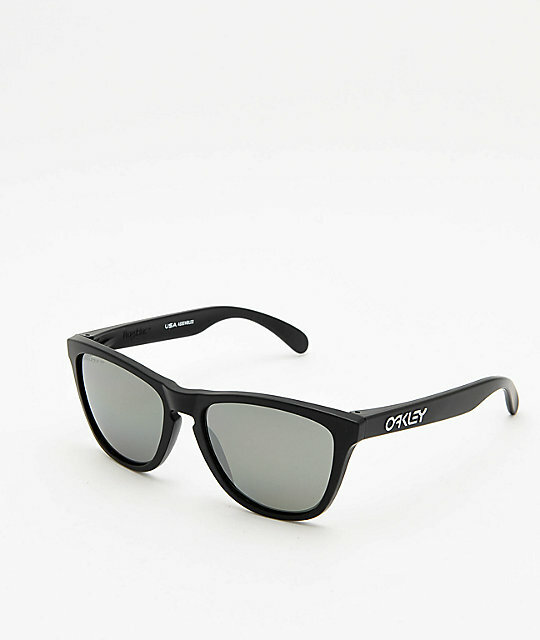 Protect your eyes in premium style with the Frogskins Matte Black Prizm Polarized Sunglasses from Oakley. These classic sunglasses from Oakley come featuring a matte black frame with silver Oakley logos on each arm, and Prizm black polarized lenses for maximum clarity and enhanced visibility. With a sleek silhouette and high quality components, the Frogskins Matte Black Prizm Polarized Sunglasses from Oakley are an easy choice to complete your sunny day style. 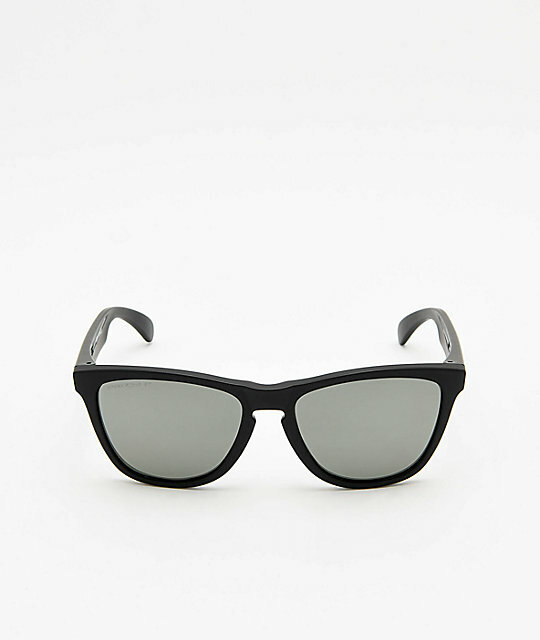 Frogskins Matte Black Prizm Polarized Sunglasses from Oakley. Oakley logo graphics on the arms. Prizm black polarized lenses provide unprecedented control of light transmission resulting in colors precisely tuned to maximize contrast and enhance visibility. Lenses should be cleaned with the provided microfiber carrying pouch.